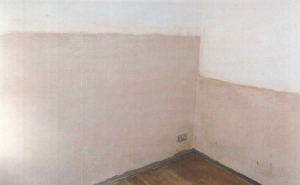 This project involved treatment to most of the walls within this lower ground floor flat in London. By its nature properties within the lower ground floor are more susceptible to dampness due to moisture in the ground. 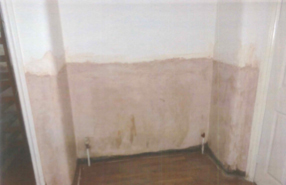 In addition to the walls requiring treatment for dampness this property has an under pavement vaults requiring treatment. Treatment to the vault area involved use of our specially formulated tanking system which is applied to all walls and ceiling. To complete the treatment within the vault we have laid a new waterproof floor screed to form a full seal to protect against moisture penetration.